About Michael K. Kim, M.D. 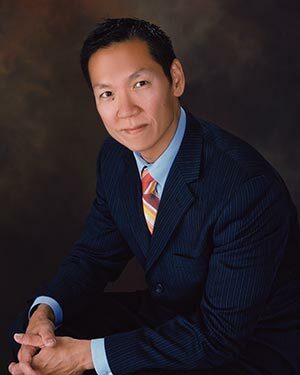 Dr. Michael K. Kim is a board-certified Plastic Surgeon with Associates in Cosmetic Surgery and has the training and accreditation you should seek when choosing a plastic surgeon. During these days of health insurance reimbursement problems, more and more surgeons are moving in the market of cosmetic surgery. Unfortunately, the consumer is usually puzzled and confused as to whom they should seek for consultation for a cosmetic procedure. Physicians from many specialties are getting into the market for "cosmetic surgery." Don't be fooled. To become a Plastic Surgeon requires one to complete a residency in Plastic and Reconstructive Surgery. In addition to cosmetic surgery training, we are taught to deal with a whole array of problems stemming from cleft lip, burns, facial trauma, hand surgery, breast reconstruction, lower extremity reconstructive surgery, microsurgery and skin cancer surgery. This training is quite extensive and usually takes anywhere from 7 to 10 years after medical school. Plastic Surgeons then become certified by the American Board of Plastic Surgery. The confusion comes in when dermatologists, ophthalmologists, and ENT (ears, nose, and throat) surgeons claim to be "Plastic Surgeons" and perform cosmetic surgery but are not in fact fully trained Plastic Surgeons. Many types of physicians are performing procedures with sometimes limited if any training. For example, there are some physicians who perform breast augmentations without any formal Plastic Surgery training. Sometimes weekend courses are given to allow these physicians to get their "certificates." Plastic Surgery Research Fellow Department of Surgery, Division of Plastic Surgery, University of Louisville. Member of the American Plastic and Reconstructive Surgeons, Inc.